If you have just started a business, creating a website is an essential step that you’re probably planning on taking soon. However, you’re probably wondering which content management system is the best option for your business’ website. There are a number of content management systems available online today, with WordPress and Drupal being just two of the most popular. If you’re not sure which one to use, you’re not on your own – they’re both excellent choices and it can be a hard decision to make. Both have their advantages and disadvantages, so let’s weigh them both up. 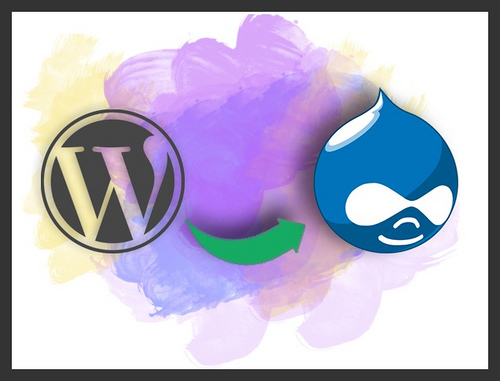 With a reputation for being extremely powerful as well as being developer friendly, Drupal is an excellent choice of content management system to go for if you’re planning on creating a complex site. However, since it utilizes a programming interface that’s highly sophisticated, Drupal is definitely not for newbies – it requires some level of experience and expertise, and you may be best hiring a Sioux Falls advertising and web design company to help you through the process. For this reason, it tends to be more popular amongst more advanced web developers and administrators. However, if you’re planning to go ahead and use Drupal, it provides a robust suite of features with user account administration, system administration, menu management, RSS feeds and page layout customization included. These features can be used to create anything from simple forums and webpages, to complex community websites. There is also a range of excellent site building tools and templates available, eliminating the need to start from scratch. WordPress is well known for its ease of use, and has developed a reputation as a successful blogging platform. This popular content management system has a range of additional widgets, themes, and plugins and is now being increasingly used for a variety of other different purposes including social media. A major benefit to WordPress is that there’s no need to have a lot of technical experience to get started using it, as it’s intuitive design enables you to get set up quickly. It even offers the option to copy and paste from Word documents to WordPress, a feature which isn’t widely available on many content management systems. Because it’s so easy to use, WordPress is the content management system that’s often the first choice of both novices and experts alike. It’s powerful enough to be used to its full potential by a professional web developer or designer, however it’s also easy enough to be taken over and managed effectively by a client once it’s set up and running. WordPress also offers a wealth of support and a great range of tutorials for anyone who should need any help. The only disadvantage of this content management system, if any, is that it’s not as technical as other platforms such as Drupal. Of course, there are other content management systems available – you aren’t just limited to WordPress and Drupal! Although these are two of the most popular choices, you might find that you discover another CMS that better fits your needs – come back and tell us all about it in the comments! Why Running a Blog is Better with Friends!